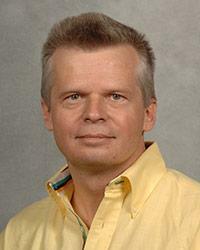 Jarek Rossignac is Professor of Computing at Georgia Tech. His research focuses on the design, representation, simplification, compression, analysis and visualization of complex 3D shapes and animations. Before joining Georgia Tech in 1996 as the Director of the GVU Center, he was the Visualization Strategist and Senior Manager at IBM’s T.J. Watson Research Center. He holds a Ph.D. in E.E. from the University of Rochester, a Diplôme d'Ingénieur ENSEM, and a Maîtrise in M.E. from the University of Nancy, France. He holds 24 patents and published 164 peer-reviewed articles for which he received 23 Awards and over 12000 citations. He created the ACM Symposia on Solid Modeling, chaired 20 conferences and 6 international program committees (including Eurographics), delivered over 30 Distinguished or Invited Lectures and Keynotes, organized and delivered numerous short courses and served on the editorial boards of 7 professional journals and on 82 Technical Program committees. He served as the Editor-in-Chief of Graphical Models. He is a Fellow of the Eurographics Association, the 2014 recipient of the Bézier award in Solid and Geometric Modeling, a Solid Modeling Pioneer, and the current Chair of the Solid Modeling Association (SMA).